Beautiful home in Fantastic Location! This beautiful property is conveniently located in the coveted Westhampton neighborhood, an amazing location! Calling this home will simplify your commute–and your life. In Northern Virginia, where nearly every home is part of an HOA, this one is not! 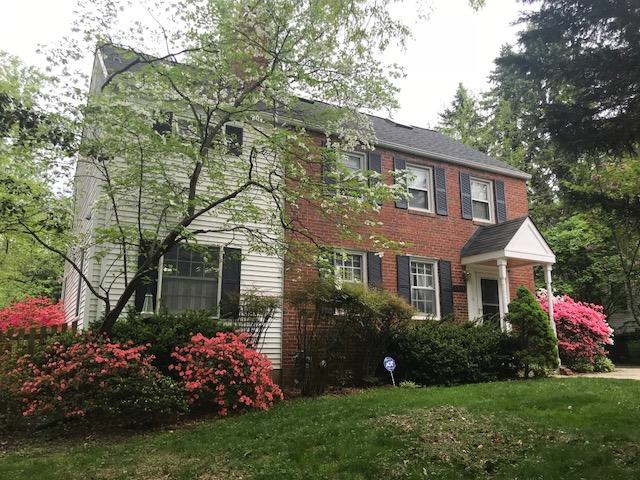 Located ~Inside the Beltway~ and just .6 miles to the West Falls Church Metro station and .7 miles to grocery, shops and restaurants. It is minutes to 66, 495 and Tysons, with Giant, Whole Foods, Trader Joe’s and Harris Teeter all nearby. As you enter this charming property, a large living room with a wood burning fireplace is before you. Beyond the living room, through the arched doorway, is an eat-in kitchen, which has been updated with granite counters and stainless steel appliances and overlooks the yard. It has a counter for stools as well as room for a dining table. There is a side entrance door that makes it easy to bring in groceries from the driveway. Next to the kitchen is a large family room that could also be used as a formal dining room–in either case, it is a great spot for all to gather. Off this room is a newly-carpeted den which could be used as a home office or small guest room. The main level features hardwood floors in the eat-in kitchen area, living room and family room. The back door from the family room opens to a spacious screened porch with plenty of room for a table and chairs or to be set up as a sitting area. The screened porch opens to a deck with steps down to a patio– it is an ideal space for entertaining on warm summer evenings. Sited on just over a third of an acre, the fully fenced and level backyard has been meticulously landscaped to provide color throughout the year and in any season. The yard also features a large concrete storage shed, perfect for bikes, gardening equipment, off-season furniture storage and more. Upstairs you will find two additional levels. On the first of these levels, there is a Master Suite with a lovely sun-filled master bedroom and a large, updated master bathroom (with skylight, whirlpool bath, granite counters, double vanities and tons of storage). Also in the suite is an adjoining room which features brand new carpet and which can be used as a second home office, a nursery, a sitting room or even a large closet! On the same level there is another large bedroom and a full, updated bathroom. There is also an alcove area that is perfect for a sitting or study area. 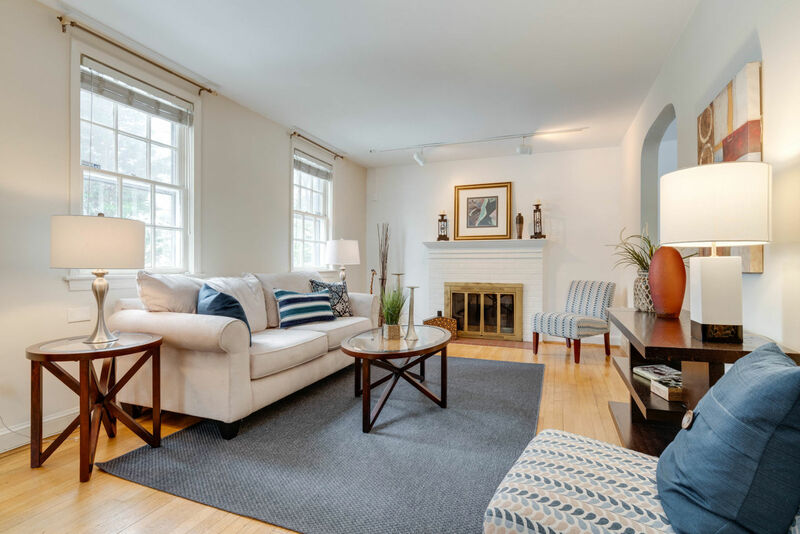 Both bedrooms and the alcove boast hardwood oak floors. The second upper level features a second master suite with large bedroom with 4 skylights, hardwood floors and a remodeled full bathroom. There is also attic storage on this level. The lower level of the home features brand new carpet and has a great family room/rec room area. This level also has a large storage room and laundry room. New appliances, HVAC and Water Heater (2018) as well as fresh paint and fresh carpet in 2019 make this home move-in ready! With the spacious lot, and no HOA, the home can be added to over time or enjoyed in its current configuration. The Westhampton neighborhood is a gem; it is beautifully maintained and homeowners are investing in their homes. With infrequent turnover, it is easy to see why so many homeowners choose to remain, and invest, in this fantastic location! Great Fairfax County Schools (Haycock, Longfellow, McLean with Haycock Elementary just .7 mile away!). Currently, school bus stops are just one house away at the corner of Berkeley St. and Grayson. Proximity to public transportation and shopping make this property an ideal location at a fantastic value. If you have been dreaming of a home that is move-in ready, centrally located with an easy commute, a practical & flexible floor plan and great schools, come and see your new home!